To my friend Yan that I met on trail. 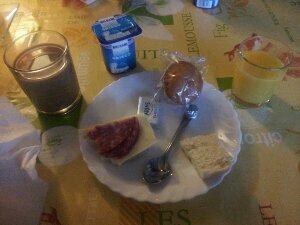 Since having this breakfast I wanted to know everything there was to it and was pleased to find it was quite simple. That truly is it. Now, it may not sound like much but it is wonderful. I drizzled maybe a teaspoon of olive oil per piece of toast. Because it is oil you won’t need much. 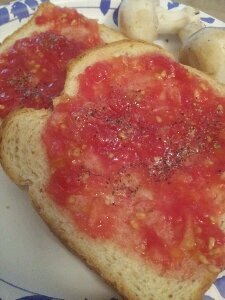 If you want a proper recipe check out A Painter of Modern Life’s blog recipe. One of the great peaks we climbed in two weeks. 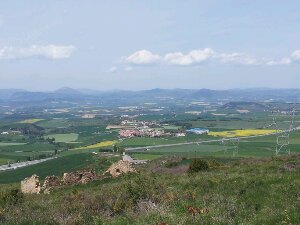 The Alto de Perdon can be seen in the movie about the Camino. The view and cool breeze from the top was fantastic. Many of the large cities took pride in creating their own spin on the shell way marker. 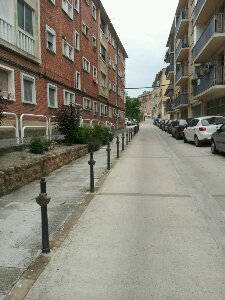 These in Estella were quite fun to walk beside, if a little overkill in frequency. 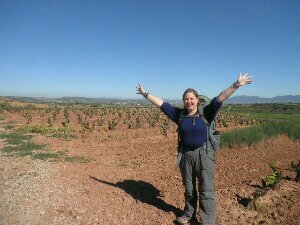 When we began hiking we would look ahead and pick a hill we thought we would be climbing soon. Of course, there were a few hills I let out a sigh as we passed because I enjoyed the scenes and didn’t have to climb each one. 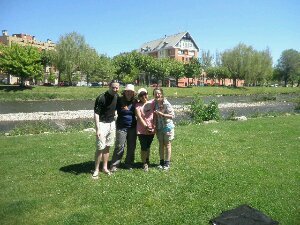 There was a large recreational park we hiked through at the edge of Logroño and it was a breath of fresh air after so much city slogging. We passed many families fishing off the bridge, hiking, biking together, and having a good ole barbeque. I almost forgot to take a picture of these super freaky trees. Near as I can tell, they are sycamores, but they have been cut and trained so many ways they look a little sad and sparse. In some cities, they trained them to grow across the sidewalk into an arbor. Eerie considering how towering and majestic these big water loving trees can grow. This town square was packed the night before with children and adults. Only hikers and those who had to work were up before 9AM. Strangely quiet in the city, but it made breakfast at the cafe quite nice. Looking down at the little French border town of St Jean Pied de Port. From this perspective it looked like someone’s dollhouse collection. When we hiked through wine country we saw grapes as often as you’d see tobacco, corn and beans here in Kentucky. 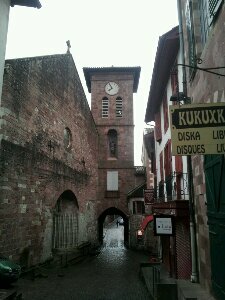 France had funny little streets. Old, old towns that were used more bt horses and walkers than the cars that zoom down them today. You had to jump on someone’s front stoop if two cars tried to pass each other. Wine country was fun. 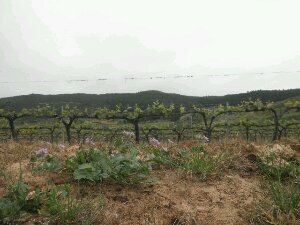 I was thankful for the wide open fields and the promise of good local wine at dinner each night. 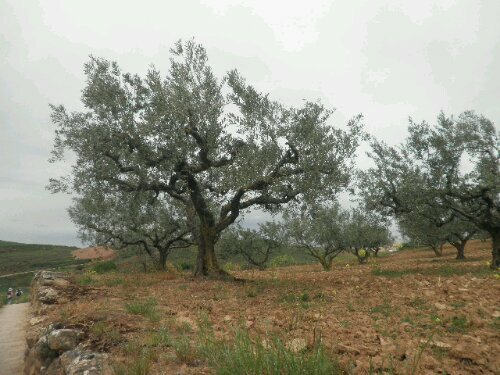 I must say we didn’t didn’t pass nearly so many of these olive trees nor almond trees (not pictured) but when we did they were always interesting. Olive trees are fairly squat and wide–likely trained that way as well. Almond trees looked similar to peach trees. I hope you realize I did not wander around taking tons of photos of the locals. I would be severely creeped out if people took photos of me at cafes or chilling in my hometown. Honestly, we didn’t have too much interaction with the locals. While on trail we ran into mostly international visitors, just like us, and even some of the hospiteleros (hostel hosts) were international. A pilgrim was trying to make reservations for the following night, but only spoke English. The host knew I spoke English and asked me for help. 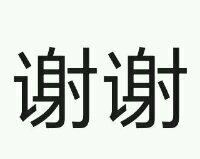 It turned out to be an interesting challenge because the person I was talking to did not speak English as their first language. 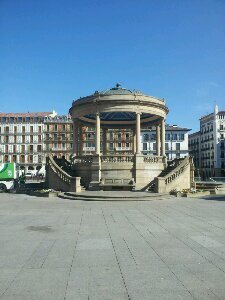 With my choppy Spanish and the help of Yan (who translated my fumbling) the man made his complicated reservation. 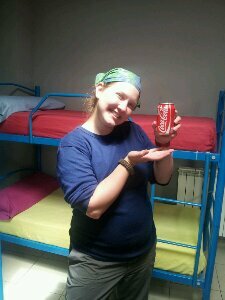 From that point on, Fernando kept teasing me that I was a hospitelera and he rewarded me with an ice cold coke. Having just gotten off trail this was a major treat. I was a little bit exciteut my cola, if you can’t tell. 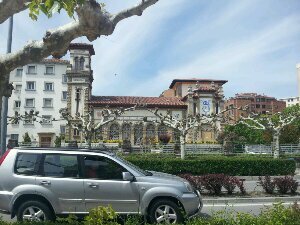 Because I didn’t have tons of interaction or fluent Spanish, I am still in the dark about how the Spaniards and Basques perceived us pilgrims. Those that ran shops, restaurants and hostels were welcoming and forgiving of poor language skills. That does make sense because their livelihood comes from the frequent pilgrims. The villages with older communities were interesting to me. The older generations were kind and completely unfazed by the fact that all towns were built on hills and that their town’s population fluctuated with each passing pilgrim. The one day that Jess and I took a nap then got off course of our pilgrimage we talked to a couple of locals that weren’t used to hikers. 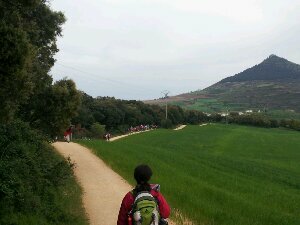 One man had us all turned around so we kept going until we ran into a woman who was most helpful, but spoke no English. I did my best to follow directions and she must have been a saint we happened to catch sweeping her front stoop. She gave directions over and over until I got it and even showed me stairs when she used the word unfamiliar to me. To speak very generally, the people there were kind and forgiving to those poor souls wearing a Pilgrim’s shell on their backpack. Tables chock full of pilgrims eating supper. We hike, eat and sleep together, but saw vastly different people everyday. Both on trail and off I don’t think I have ever seen so many friendly and exurberant people. One of our trail friends even made supper for us! Much cheaper to throw in euro for groceries and applaud the skills of our chef from Holland. 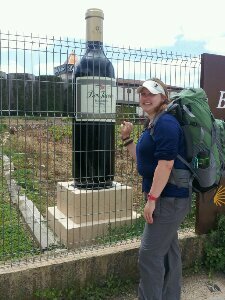 One gal from Canada met the chef from Holland on trail and they started dating! They had even made plans to visit each other after the long hike. Found out the gal from Canada is YouTube famous. Jess recognized her immediately as Lindsey Cowie and praised her for how much help she was. I hadn’t seen her videos, but she was a wonderfully friendly human being to be around. 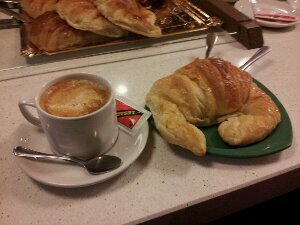 Even though we saw some people almost daily–breakfast or we stayed at the same hostel–others we only saw once or twice. We hiked a half day with a nice guy from Italy and we swapped vocabulary. There were many other wonderful people that I wasn’t able to take photos of during my time on trail. Some guys in their 40s from a country town about two hours from Liverpool. They cracked me up and we kept trying to get them to say things in their adorable accents. Supper was always fun or interesting because we kept meeting people from Europe and all over! 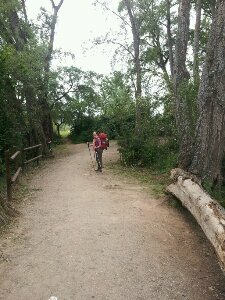 They would tell stories of previous trails they had hiked, blisters (ampollas). At the end of my hiking time we got a photo with Jess and two good friends we made on trail. Daniel of Sweden and Yan of China. Good cats in their own rights. The pilgrims were by far one of my favorite parts of the whole trip. 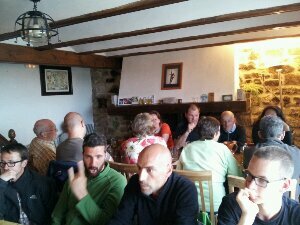 After our first long day of hiking we enjoyed a big Pilgrim’s meal at one of the two cafes in Roncesvalles. 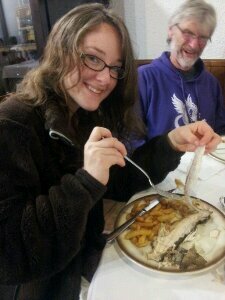 The pasta, wine and bread was gobbled quickly, but Jess and I both had to pause before digging into our fish. Neither of us were experienced with eating too many fish bone-in. Luckily, we had awesome dinner mates at our table. They were patient and encouraging while we fiddled with forks and fingers. After our first few bites we needed very little encouragement to continue. 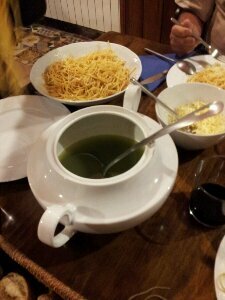 Like I mentioned, the pasta was typical part of the pilgrim’s menu. Some were better than others. After hiking all day, we ate every bit and slept well with full bellies. 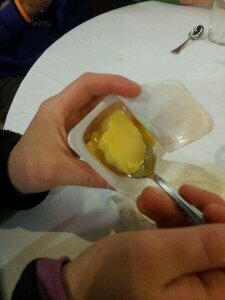 We had several different types of pre-packaged desserts. The cup of flan was on a quality on par with the snack pack pudding cups. 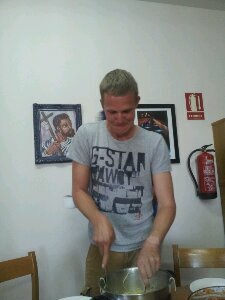 A Spanish couple at our table taught us how to flip the cup and hit it against the heel of our palms before opening. This knocked the sugary caramel syrup down so it blended better. Museo del Jam on was a chain fast food joint. It was a novelty to us in that everyone stood at the bar or around the shop-there were no seats. During busy times, you couldn’t stir them with a stick. It was a mingle, eat and drink type place. The most popular menu choices were dirt cheap. 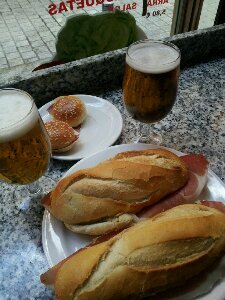 We bought bocadillos (boe-kah-dee-ohs) and glasses of beer. 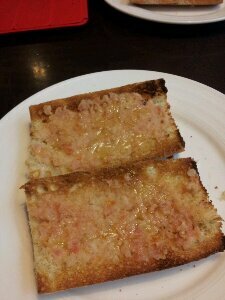 The bocadillos were thick, crusty sandwhiches with a thin slice of Spanish style ham in the middle. I wish I had gone back to this cafe when I wasn’t jetlaggin’, but it was still good. 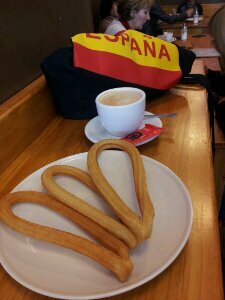 We had fresh churros, coffee and hot chocolate. We could see the cook pulling the dough, twisting it and dropping it into the fryer. 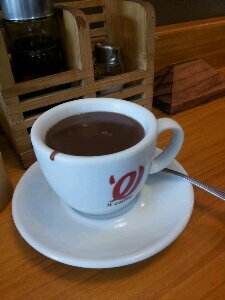 The hot chocolate was a bit of a surprise. 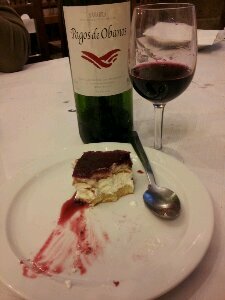 It was perfect for dipping churros, but was almost took much of a pudding conaistancy for drinking. 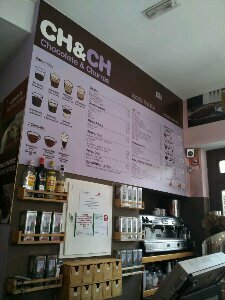 The fun Spanish and English menu for the Churros y Chocolate that we went to in Spain. After looking at the menu, I pretty much wanted everything. This part of the meal was a surprise to us. We ordered it, I loved it. Then we looked it up on my phone back at the hostel. 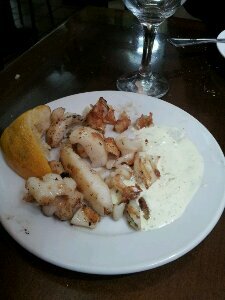 “Sepia plancha” is grilled cuttlefish. Cuttlefish are boss at camouflage so I felt a little bad, but it tasted so darn good. The consistancy was similar to scallops or squid. 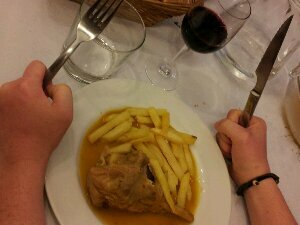 We also split an empanada for our first meal in Spain. It was yummy too. Perhaps I could make empanadas here at home. Anyone know an easy version of this? 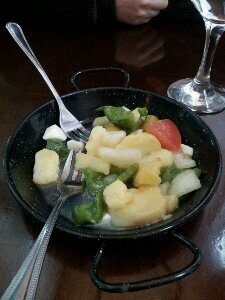 At the same meal were some veggies in a light vinegar. They had a good flavor and a nice crunch. Much like a salad served before the meal and along with the bread. 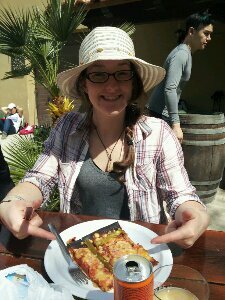 Along the Way, we stopped at a cafe that had an outdoor oven where they baked pizza, tortillas, and other good things. 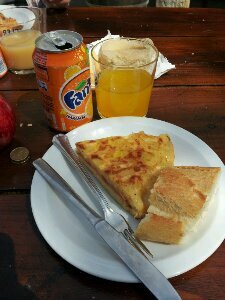 A tortilla in Spain is an omelet. Believe it or not, even the Fanta soda tasted different. 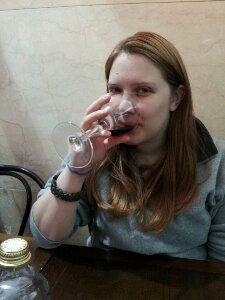 Fell in love with an adult beverage while I was in Spain. Apparently this is a thing in USA too, I just didn’t have a clue. In Spain it is called a pica or clara and in the U.S. it is called a Shandy. Whatever you call it, it tastes awesome! Fill a glass half full with light beer and fill it the rest of the way with lemonade. Best cocktail ever. I have been drinking them at every opportunity since I have been home. 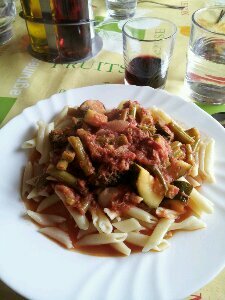 This was the main course of the meal in a small town called Obanos (Oh-bahn-nose). If it looks like a mystery meat drowning in a peculiar sauce then you’d be spot onto how it tasted. 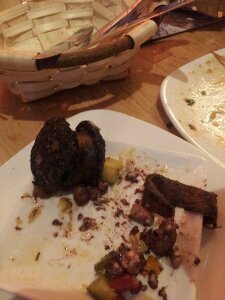 It was supposedly chicken, but the other folks who ordered beef got a similar murky looking plate. Thankfully, I had filled up on the previous soups and starters before the main course. No pix of the starters—that’s how good it was! The dessert at Obanos was good, but I wasn’t sure where to put it. I believe they called it tiramisu? I can’t recall. It was a good cake with super sweet raspberry sauce and fluffy whipped cream. 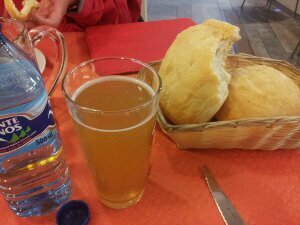 The meal we had in Cirauqui. Although the Spinach soup doesn’t look like much it had a phenomenal flavor! It also warmed us straight to the bone. The dining room was a little odd as we went downstairs to the basement underneath the hostel to eat. It was a very nice dining area. 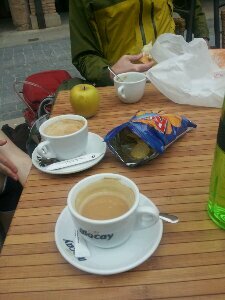 In Estella, we checked into our albergue and went in search of food. Yan (our friend from China) knew a good place to eat and we did eat well! 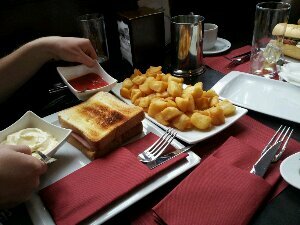 We had sandwhiches and gobbled our weight in patatas bravas. Brava has many meanings, so I assume the translation would be hot potatoes. Fierce potatoes sounds more awesome though. Yan–ever brave–ordered this to share with us. I was shocked that i liked it. I ate it, but was quite hesitant. 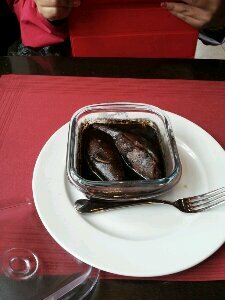 This was squid and the sauce was made from its own ink. The sauce and meat were both good. 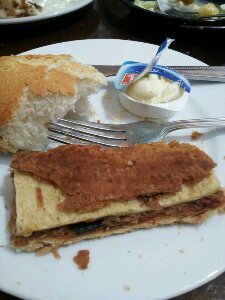 I ate it on a crust of bread. Too fishy for Jess’ taste. Ice cream or helado (el-ah-doe). Mango flavored! It was so good! Very creamy with that unmistakable fruity mango flavor. 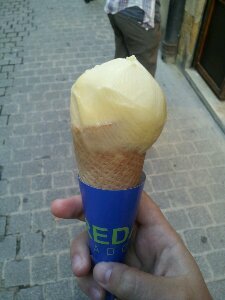 It wasn’t a super common flavor, but we did find it in many of the ice cream shops we went to. 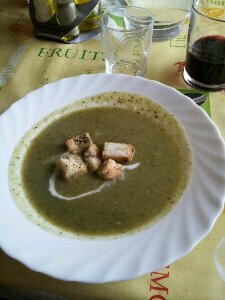 Green soups seemed to be a common starter when we ordered the Pilgrim’s menu along the way. Although the presentation was better than some we ate the flavor was not as complex. 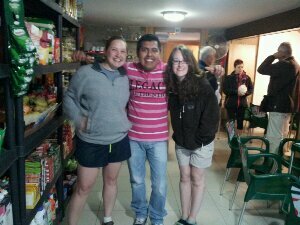 The hostel was being run by two couples from Holland. They spent 3-6 weeks working there then another set of people would come run the hostel. Pasta was the typical second or main course in the Pilgrim’s menu. 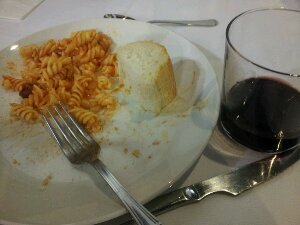 This was some sort of bolognaise sauce–or so I was told by my more traveled eating companions. 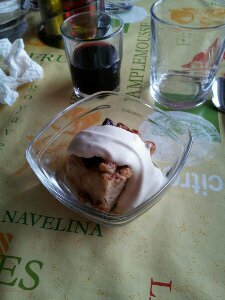 A custard was a typical postre (poe-strey). It was a surprise when we got bread pudding. I make bread pudding so I am a bit particular. I was satisfied with the quality–the whipped cream was yummo too. The people from Europe at the table were more wary of it than I expected. 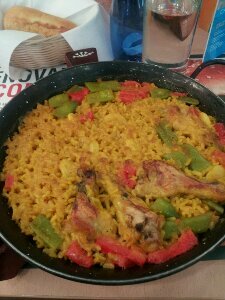 My coworker told me I had to try paella (pie-eh-yah). Which, near as I can tell, is a baked skillet of saffron rice and some sort of meat. I wish I could have found some grandmother to make it for me. Homecooking always wins. This was quite good and makes me want to experiment with saffron. This was an adventure of a meal. 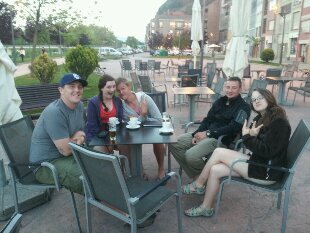 Yan, Daniel (hiker from Sweden) and I met our new friend and hospitelero (hostel host) for supper in Logroño. He decided to order for us and we all ate family style. 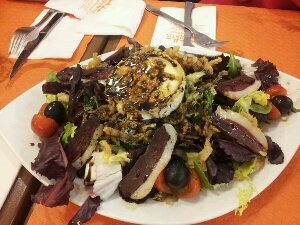 This is how we ended up with a salad that included a goat cheese (I think), a balsamic vinegar dressing and thin slices of cooked duck. The duck is what looks like the purple slices of meat. It was an awesome salad. I ate mostly that. Blood sausage. Despite its terrible appearance and name. 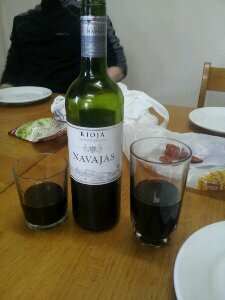 It tasted much like liver; that high in iron taste. It was mixed somehow with rice so I’m not sure what order they did things in to make it taste the way it did. 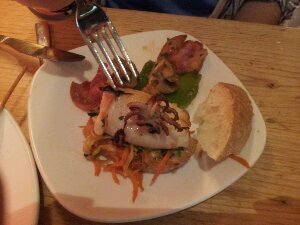 More of the fancy pinchos (similar to tapas) we ate wers octopus on bread with other veggies. It was delicious and I would have gotten another one if they had more. can you see the tentacles!? The ordering style at the bar involved pointing and stating a quantity. Because of that, I have no clue what they called this type of food. It was pulpo something. Pulpo just means octopus. Along the Way we ate at an outdoor oven cafe. It was lovely and their food was flavorful. Jess got the asparagus pizza and she was lucky I didn’t steal it from her. There was too much good food for one blog post! I am splitting this into two parts so I don’t make my readers too hungry. 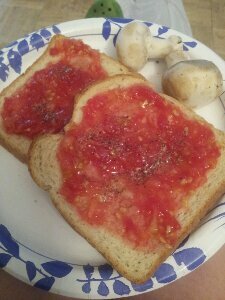 So wipe away the saliva, fix yourself a PB&J and wait for another post about food that is coming soon.